If you ever wondered what sort of bassline it’s heard so frequently in a wide range of electronic music, such as dubstep, house or drum and bass, the following article has the answer: it is a sort of wobbly bass effect. Moreover, if you want to recreate the effect for your own tunes this tutorial illustrates two methods of making wobble bass. First, set the tempo to around 140bpm. Then, load the SymSinth Live and choose from its menu the preset “BassMoog2”. After you did this, create a bass sequence with the aid of Piano Roll and check out how it sounds. Now, we are going to make it wobble via automation and the low frequency oscillator tool. Start by creating an empty pattern dedicated just for the automation and the LFO. This is just to keep it separated from the note data to make it easier to copy, paste and make improvements just to the automation curve. Press F4 to create an empty pattern. Now, it’s time to create the automation and the first thing to do this is to bring the SimSynth on front again. Right click on top of the CUT (cutoff frequency) and select “Edit events”, then select the time range you want to apply the automation event modifications to. Select the LFO tool and listen to what it is doing to the automation: it should sound like a slow wobble, but we want to make the wobbling effect a bit more dramatic, faster and sync with the tempo. So, the first thing I do is set the metronome on to help with the syncing, then select the LFO tool again. With the first two knobs (Value and Range) we’ll control how “dramatic” the wobble will be. 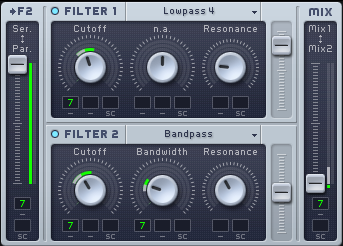 Set the Value and Range of LFO to about halfway: this sets the range between the lowest and highest points on LFO. With the next two controllers (Phase and Speed) we make the wobbling shape to sync nicely with the tempo. Twitch the Phase knob all the way to the right. This sets the phase of the LFO – basically moves the LFO shape left and right. Now, it’s time to add a little variation to the wobble. Select a little portion at the end of the pattern and open the LFO tool again and slow down the LFO speed a bit for the selected portion. 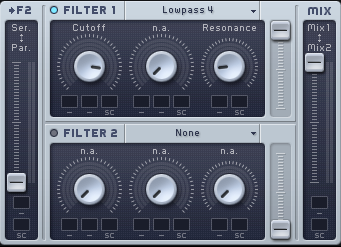 As we created a dedicated pattern for the LFO automation, it is now easy to copy/paste it and make more transformations to the automation curve: just select “make unique” to make a copy/pasted pattern unique. And finally, create that little twist to the end of the pattern by tweaking the Speed of the LFO to make the shape sync with the tempo.